The streak remains intact for La Fonda Restaurant’s salsa. 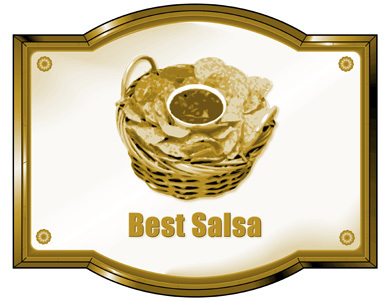 Five out of five years the Daily Press has offered the Best Salsa category in the Best of Artesia contest, La Fonda’s has come out on top – the only nominee in any category to accomplish that feat. La Fonda salsa is a staple in many Artesians’ diet and hasn’t changed since it was first served to customers in 1965. 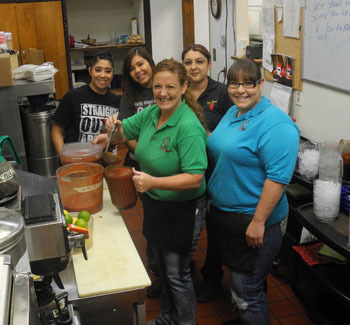 While the salsa is steadfastly consistent more often than not, mixing ingredients that can vary in flavor is never an exact science, and La Fonda has had its share of adventures in salsa-making. Perkins says she has a lady who “likes to talk a lot” mixing up between 12 and 16 gallons of the salsa every day. Occasionally, she forgets the salt, but someone will say “this doesn’t taste right,” and the chef instinctively collects all the salsa and mixes in the missing sodium. Perkins also recalls a time three or four weeks ago when one of the waitresses noticed the salsa tasted peculiar – suspiciously like spaghetti sauce. Perkins took the salsa to her husband, Cliff Perkins, who found the culprit: two or three empty cans that had contained spaghetti sauce but been mislabeled at the manufacturer. But Artesians clearly appreciate the effort that goes into that never-ending bowl of salsa that is there for them to savor with each and every meal La Fonda has to offer.